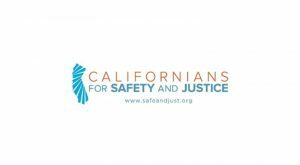 The Tides Center is the fiscal sponsor for Californians for Safety and Justice (CSJ), a statewide nonprofit with a mission to replace prison and justice system waste with common sense solutions that create safe neighborhoods and save public dollars. Through policy advocacy, public education, partnerships, and support for local best practices, it promotes effective criminal justice strategies to stop the cycle of crime and build healthy communities. This grant supports CSJ’s Proposition 47 Implementation Program. In November 2014, California passed Proposition 47, a ballot initiative that changed low-level nonviolent felonies to misdemeanors. Cost savings from this change will be re-directed to prevention, community-based treatment, and victim services. The proposition can be applied retroactively and potentially impact up to 1 million eligible Californians who may now access housing, employment, education, and other opportunities. CSJ’s program aims to ensure eligible individuals benefit from the law change through resentencing and record change, and that the law change is protected and advanced.